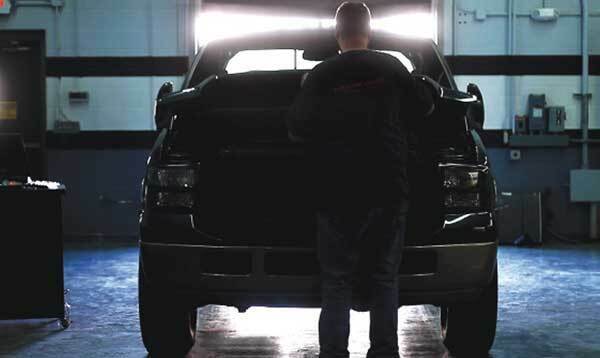 Your vehicle requires 1 bottles of full strength coolant or 1 bottles of premixed coolant. 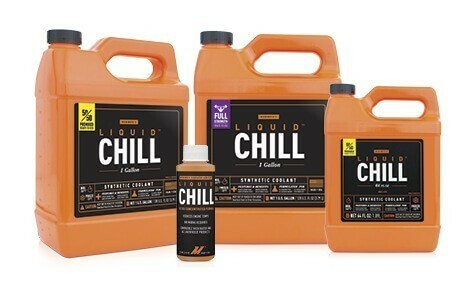 Your vehicle requires 1 gallons of Full Strength Liquid Chill® Synthetic Engine Coolant or 1 gallons of 50/50 Premixed Liquid Chill® Synthetic Engine Coolant. 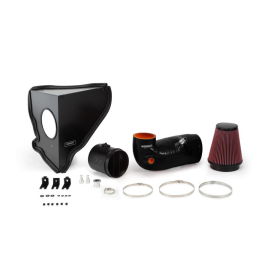 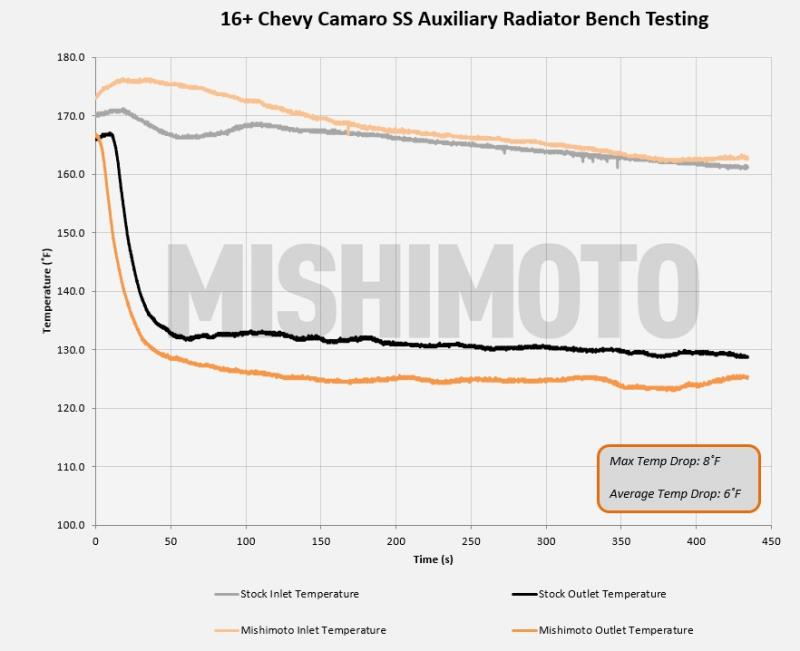 Increase your cooling efficiency with Mishimoto’s auxiliary radiators for the sixth-gen Camaro. 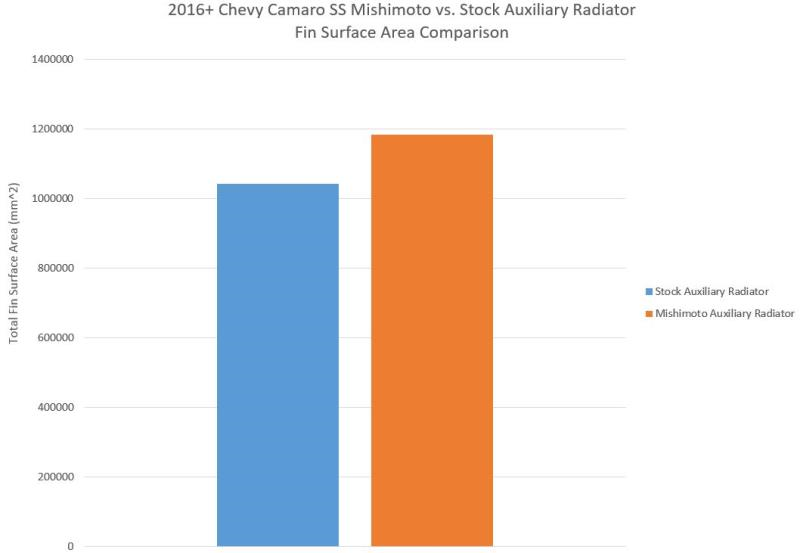 The Camaro is the perfect tool for lapping your local road course or hitting the drag strip, but high engine temperatures will send you straight to the pits. 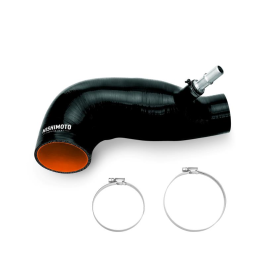 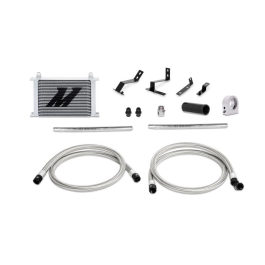 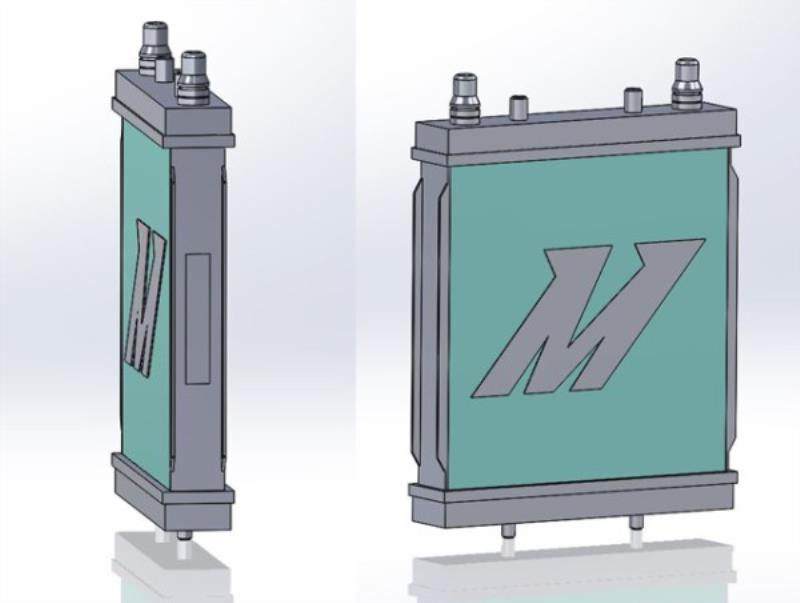 The Mishimoto 2016+ Camaro SS or non-SS w/ HD Cooling Package Auxiliary Radiators have been designed for maximum cooling efficiency to supplement your primary radiator and keep you on the track for longer. 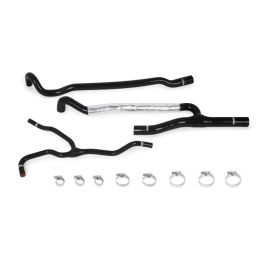 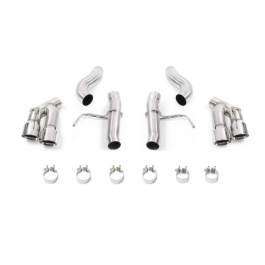 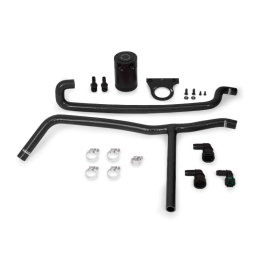 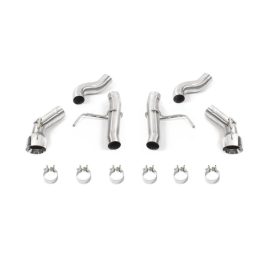 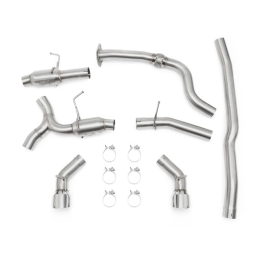 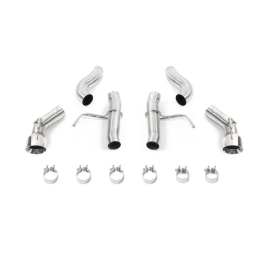 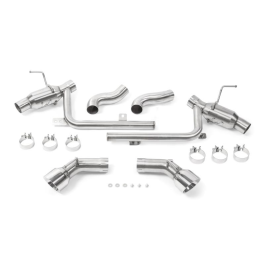 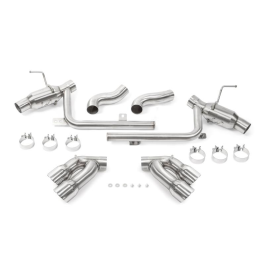 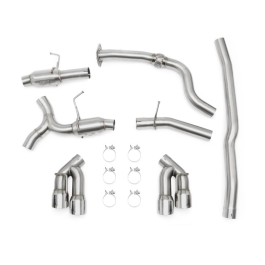 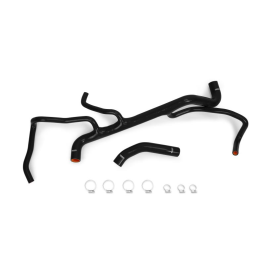 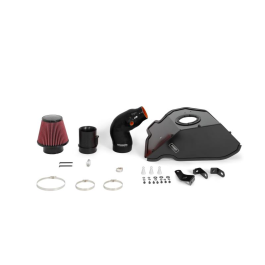 Whether you have an SS or a non-SS with the heavy-duty cooling and brake package, this direct-fit kit will help keep your Camaro cool when it counts. 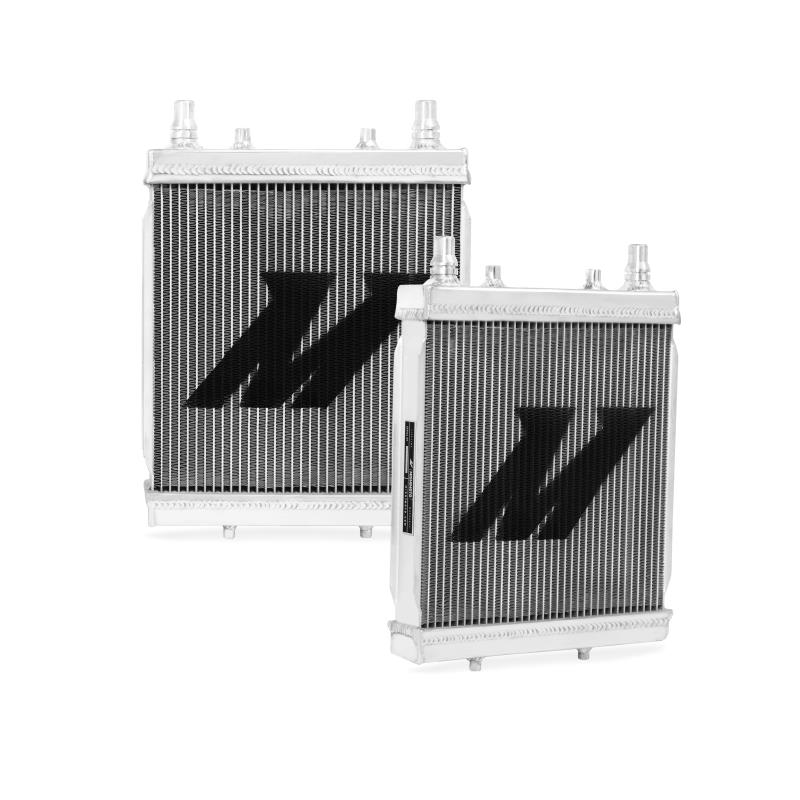 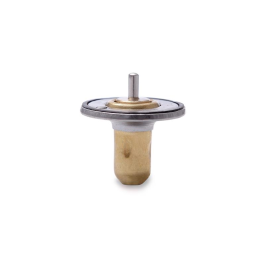 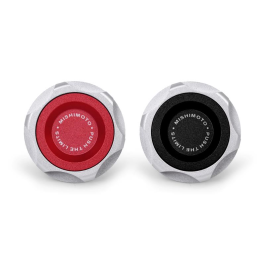 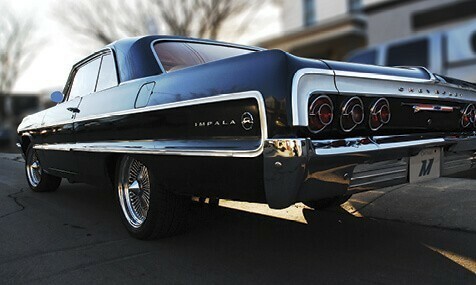 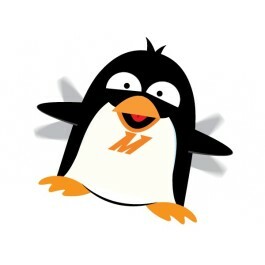 The all-aluminum, dual-pass cores provide a 14% increase in fin surface area over stock, and a 10% efficiency increase. 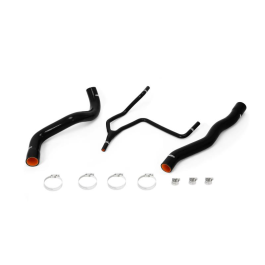 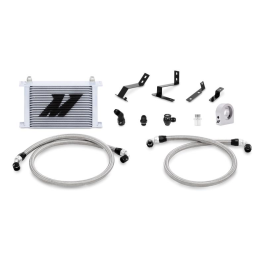 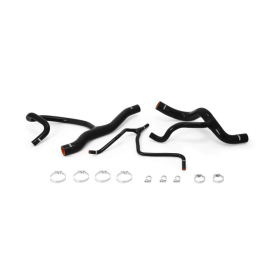 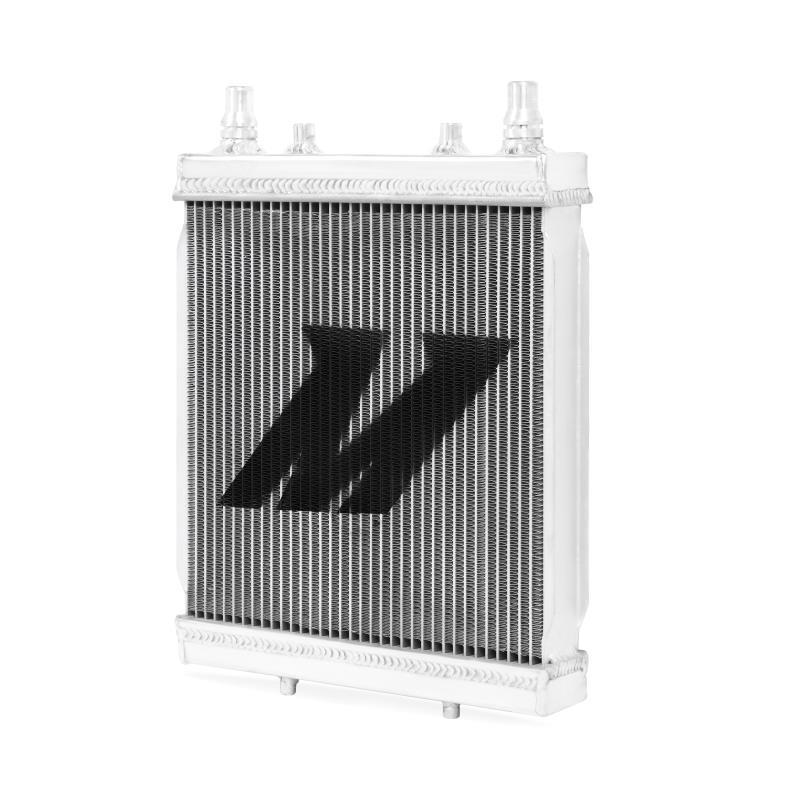 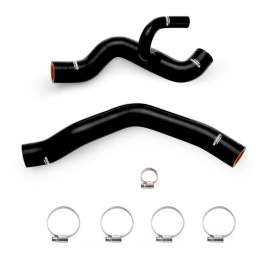 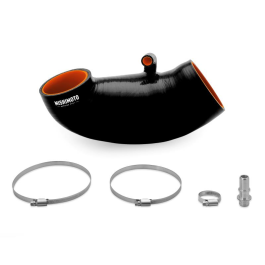 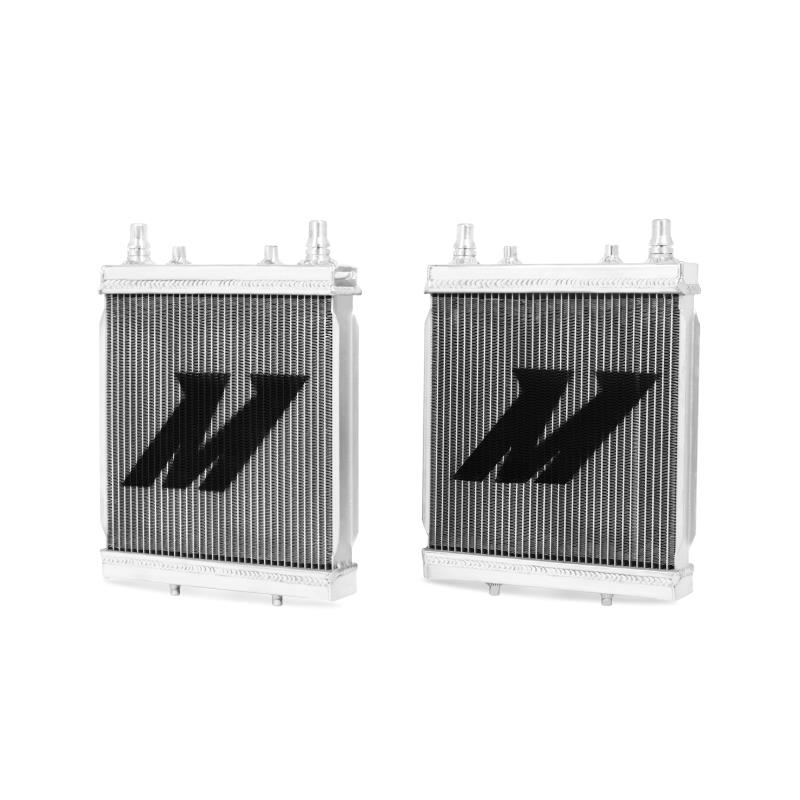 The CNC-machined quick-disconnect fittings allow for easy attachment of the stock radiator hoses, and the precision-cut mounting points make these radiators fit like stock with all factory equipment. 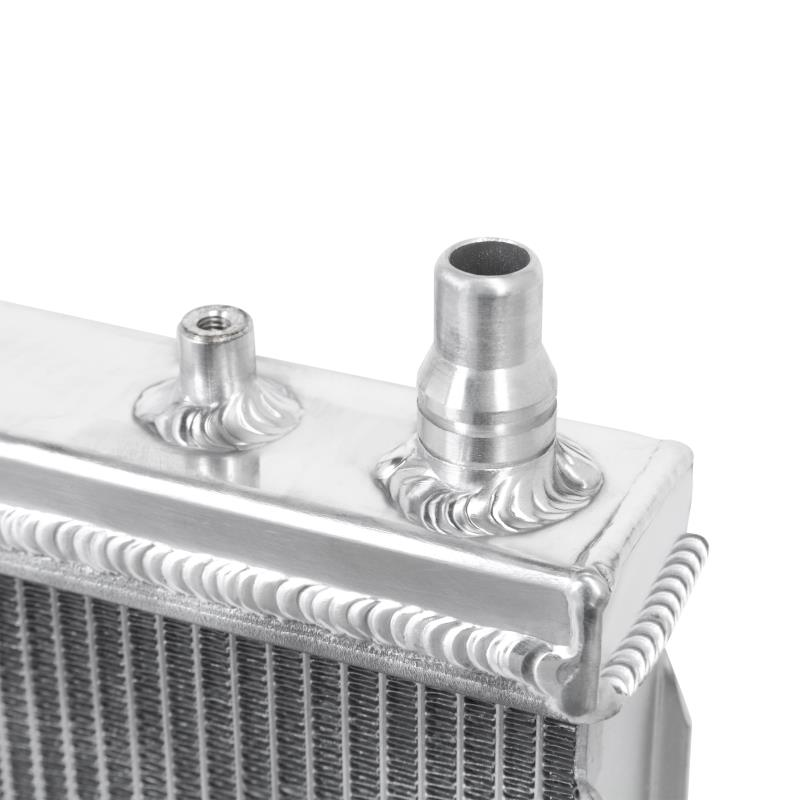 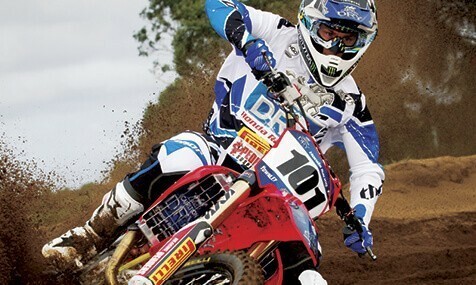 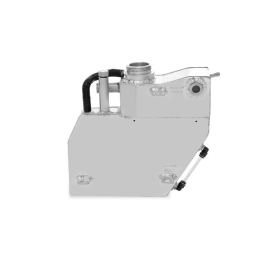 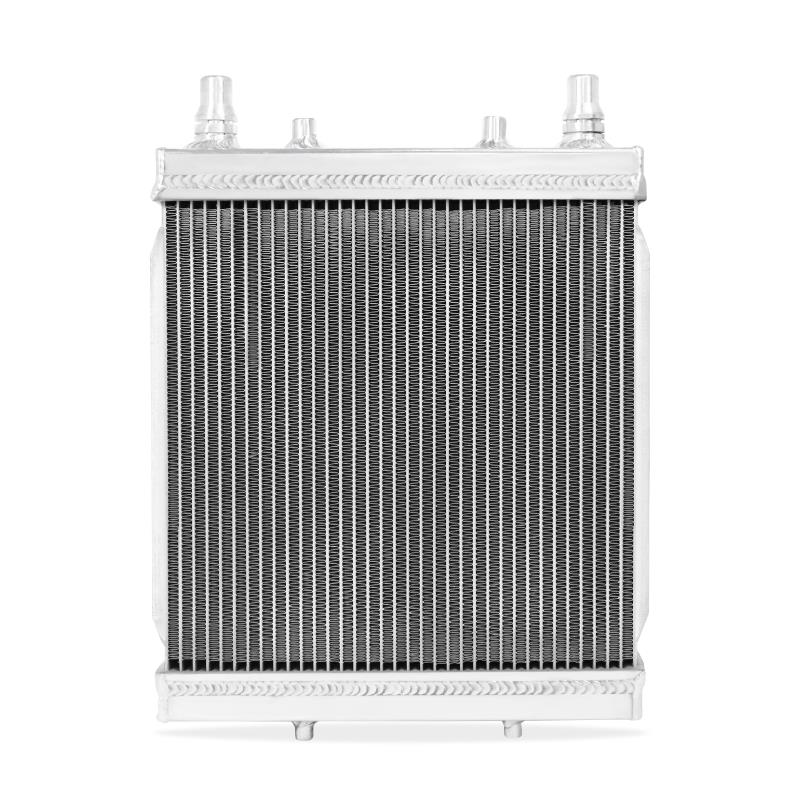 Fully TIG-welded aluminum end tanks ensure that these radiators are in it for the long haul. 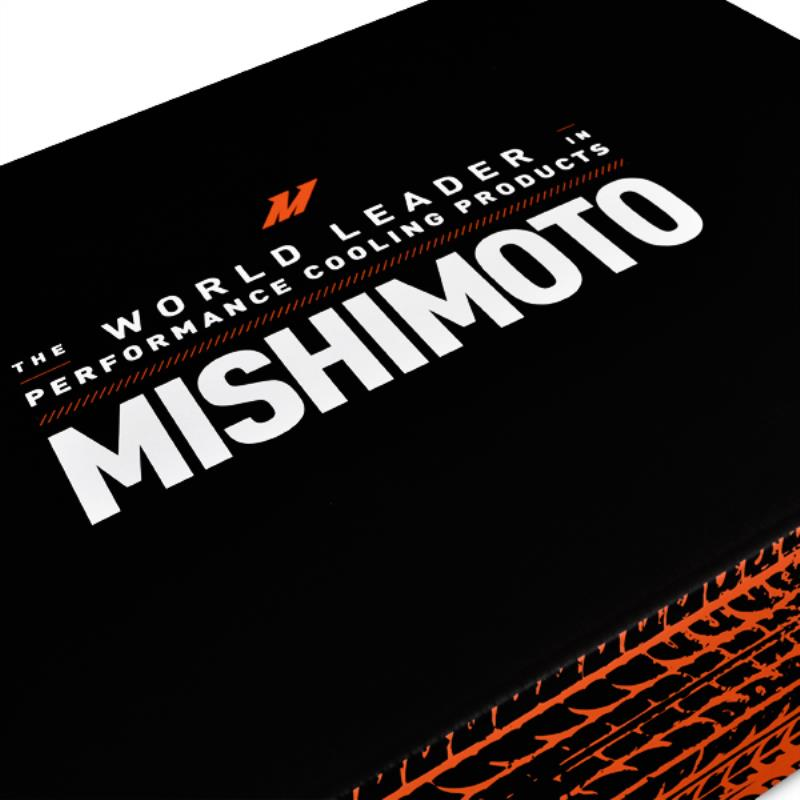 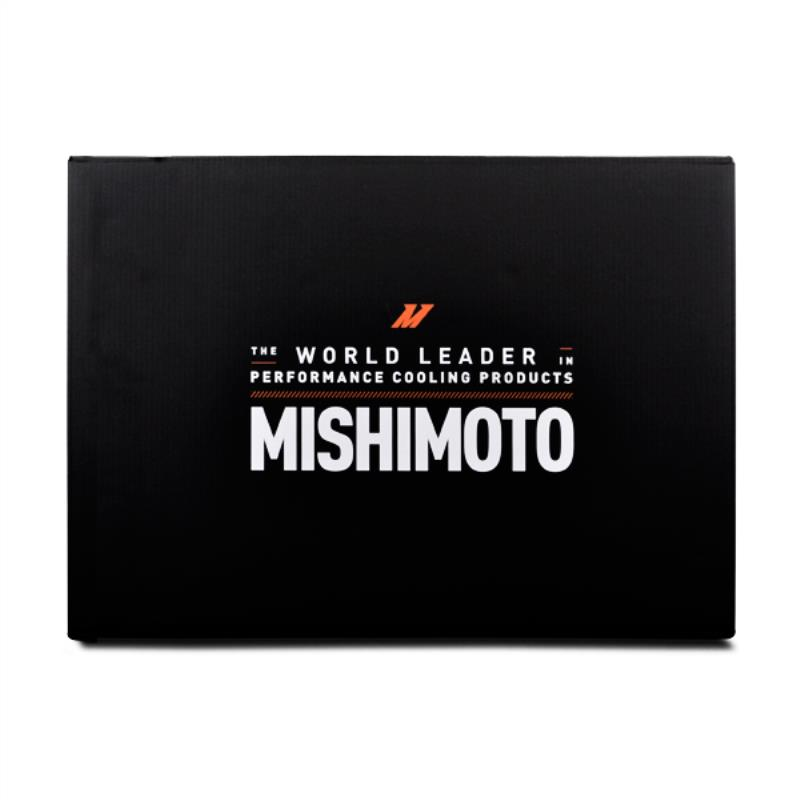 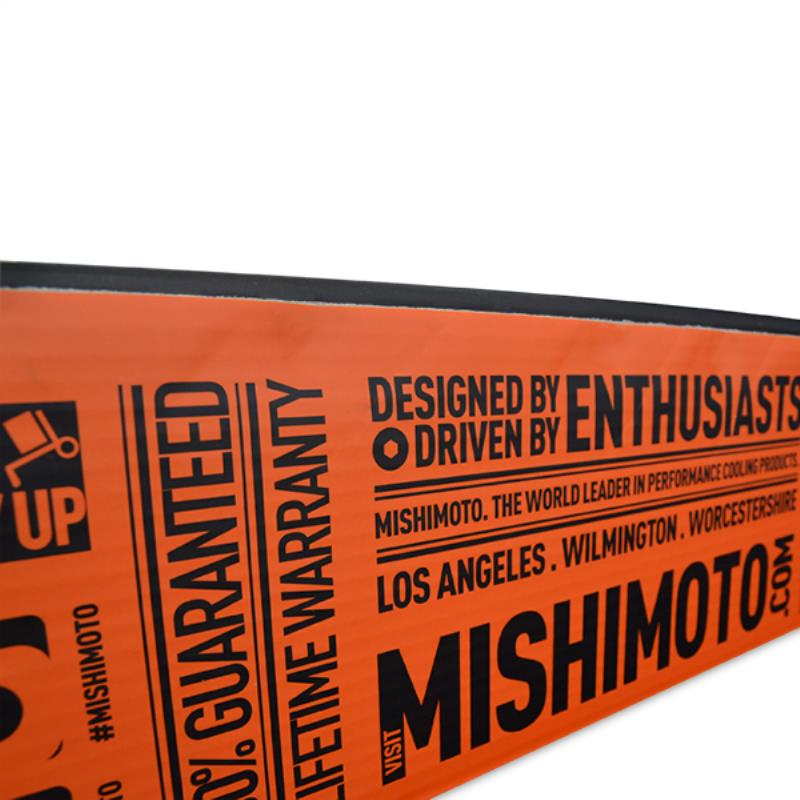 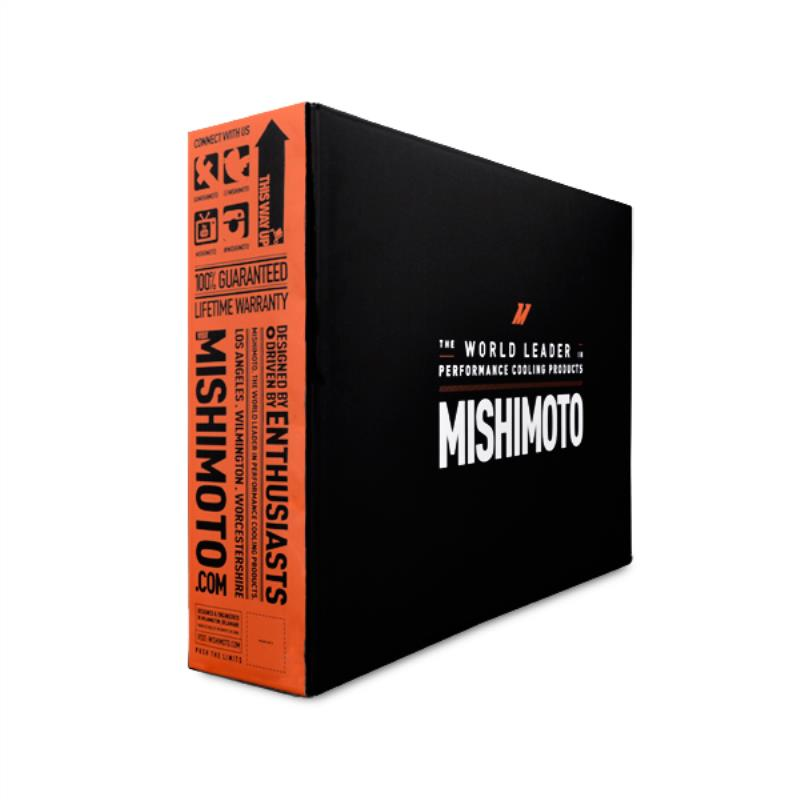 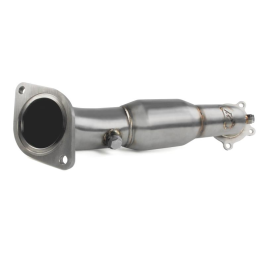 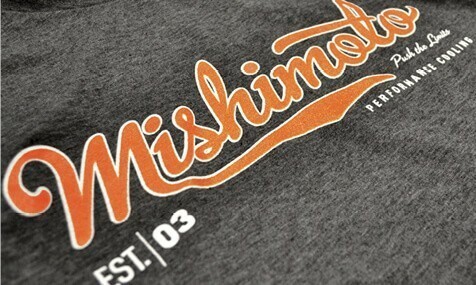 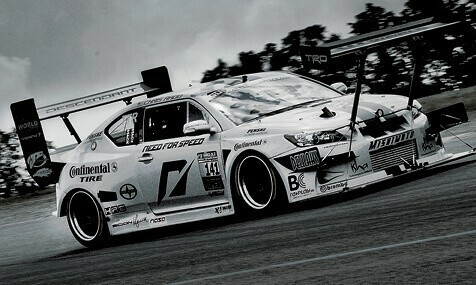 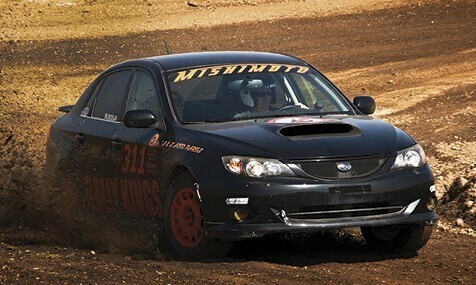 Push these aux-rads to the limit with confidence, as the included Mishimoto Lifetime Warranty stands behind them. 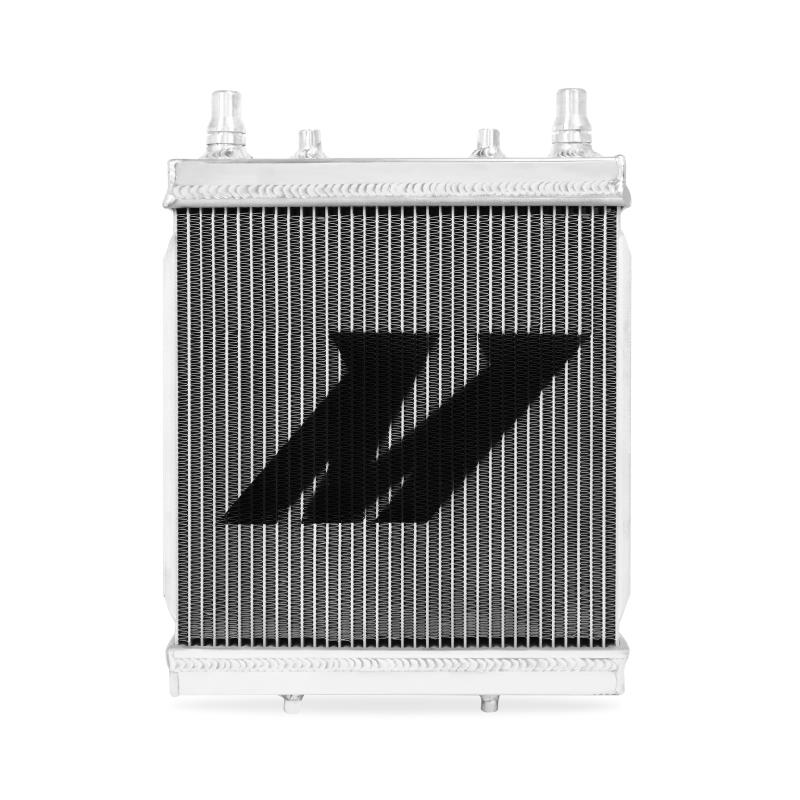 Core Size 8.90" x 8.98" x 1.42"